Every time that Massimo Bottura gets on stage at Identità Golose the room is packed and people fill the doorways trying to listen. 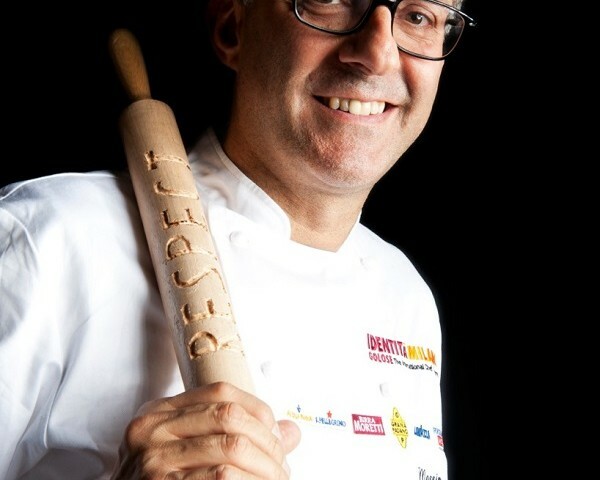 Osteria Francescana, in the historic center of Modena, boasts three Michelin stars and, in 2012, according to The Daily Meal and its list of the Top 101 Restaurants, it is the best restaurant in Europe and Chef Massimo Bottura the International Chef for 2012. I don’t think people want to listen to him just because he’s famous. Massimo is a great chef but when he talks and expresses his opinions, the crowd comes alive and gets sucked in by his words and the imagery he uses. This year, he really got into the wonderful initiative of Identità di Sala that made room and celebrated a profession that deserves a lot of respect and should be, and is in its own way, on the same playing field as that of a chef, reminding us how much passion goes into selecting a wine or telling us about the professionalism and communication skills that need to be present to plate a dish. I tried to quote him as much as possible so this text will be truly authentic and so that you can be as inspired as I was by this great chef and the thoughts he shared with the crowd at Identità golose. He describes the book as a true anthem to Italy from the gulf of Naples to the arcades of Bologna. “In Italy today, there is a real identity crisis and we have to fall back in love with our country,” says the Modena-based chef. This is an invitation to set aside our preconceptions and rediscover the light, the smells, the countryside and the few spires that have remained. Each of us, he says, should ask what we can do for Italy right now and stop asking the opposite. He recommends travelling as a fundamental step in understanding and sharing just a small part of Italy’s beauty.